As a physical therapist, you will face all kinds of injuries ranging from minor to debilitating. 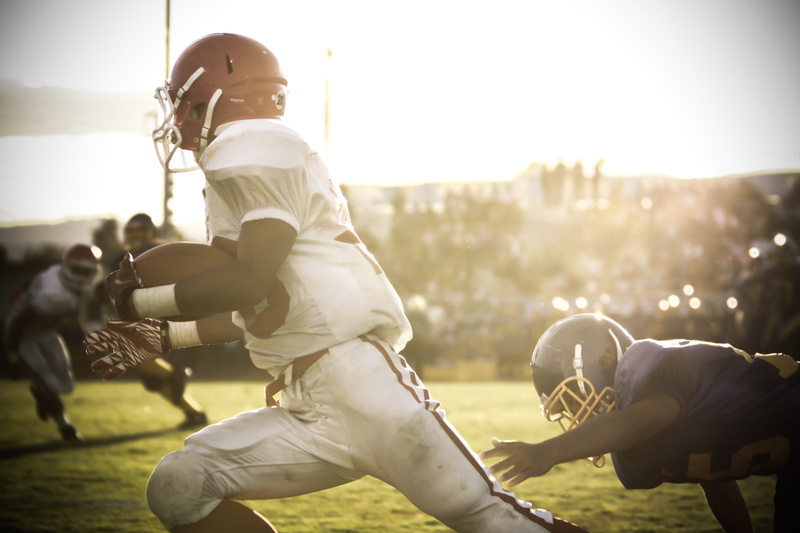 As basketball season kicks into high-gear and football season comes to a close, it is important to keep yourself informed of some of the most common sports injuries. While not every patient is the same, and certainly not all injuries are the same, there are definitely some common things to look at. A football player running with the ball. Browse Allied Travel jobs here! Most Common Sports Injuries- what are they? While these are some of the most common injuries, they are definitely not the only ones. We will look more into these three injuries, as well as some of the other most widely recognized athletic impairments. Arguably one of, if not the most common injury across all sports and at all levels is the concussion. According to the American Association of Neurological Surgeons, a concussion is “an injury to the brain that results in temporary loss of normal brain function.” Concussions can be caused by any kind of trauma to the head, whether it’s a patient falling and hitting their head or getting tackled by a huge linebacker during the playoff game. While this seems like common knowledge, it is extremely important information to retain and recall when necessary. Concussions are also one of the most unpredictable injuries. While they have some common symptoms like memory loss, poor/unusual judgment, speech impairments and more, they are also different for every person who experiences them. All concussions should be taken seriously no matter how minor they may seem. Even if they are relatively harmless-seeming, a small concussion makes a patient more susceptible to additional concussions, which can cause a lot of damage. Sometimes the damage from back-to-back concussions can be permanent or even fatal. Baseline concussion testing can be extremely important and helpful for diagnosing the severity of a concussion. If you are treating a patient, please take the proper precautions and make sure to inform them properly how to tend to it after being discharged. Another of the most common sports injuries is the tear or straining of the ACL. An injury to the anterior cruciate ligament prevents all functions of the knee, depending on the severity of the injury. This is due to the fact that the cruciate ligaments control the “back and forth” movement of the knee. ACL tears are usually the result of changing direction abruptly while in motion or landing weird after jumping. While these are most often the causes, there are plenty of others as well. Commonly, when people sprain or tear their ACL, they hear a loud “pop” sound. This could help you to determine whether or not your patient actually has an ACL injury- it is something easy for them to recall about the injury. All ACL injuries do require surgery to heal. However, if your patient lives a lower-activity lifestyle, they may be able to do without. Make sure to talk to them about their exercising activity. Having a “pulled hamstring” is by far at the top of the list of the most common sports injuries. It is especially common for athletes in sports like soccer, basketball- anything involving a lot of running or sprinting. Due to the fact that there are three hamstring muscles, a strain or tear can vary in severity. A grade 1 strain is the most common, meaning the strain is mild and will heal on its own. Hamstring strains are some of the most common injuries among athletes. However, a lot of people don’t recognize the risk factors associated with them. Some of the most common signs of a potential strain for you to tell your patients about include muscle tightness, muscle fatigue, and poor conditioning- just to name a few. Rotator cuff injuries are completely different from dislocations. While dislocations may cause immediate pain, rotator cuff injuries are not as sudden. Often, patients will describe their pain as being felt particularly at night, a dull aching pain, or even just weakness in their affected shoulder. Learning about your patient’s activity levels can help you figure out whether the injury is acute (short-term/one-time impact) or chronic (long-term). In a nutshell, the rotator cuff offers stability to the shoulder joint and allows a wide range of motion. An injury will limit the range of motion of the shoulder, as well as cause pain or aching. Probably one of the most common sports injuries among athletes of all ages and skill levels is shin splints. Often induced by running, shin splints can cause a lot of pain on the side of the tibia (shinbone) and can put your patients in a lot of discomfort. Once again, learning about their activity level can help you better treat this. Shin splints are a result of a change in activity levels such as increasing the number of workouts per week, or the type of workout someone is doing. While there is no real “cure” to fix the discomfort, stretching, ice and rest can help relieve some of the pain. Have you worked with athletes with these common injuries? How did you treat them? Let us know in the comments below!